Java Script is the one of the programming language; it is used to control the web pages so that web pages become much more responsive from the client side of the browser. It supports the oriented programming and procedural programming. Previously the cost of hosting files were very high and browser were bad at interpreting it, but while using the java script the web sites become more responsive and less expensive for client in term of traffic server. Along with that Java helps to fix the browser problems. C# is an elegant object oriented programming used by developers to develop secure and autonomous applications run on its own .Net Framework. Developers use c# for various purposes some of them are web application development, WCF web services, distributed applications, Client server application etc. C# is easy to understand and similar to other programming languages like java, C++. C++ is one of the mostly used programming languages developed by Bjarne at bell labs. C++ mostly used for development where time is precious like graphical applications. C++ is object oriented programming language and also considered as an intermediate level language. C++ is similar to c but some additional features or concept of classes and objects added into it. Python is high level programming language used for rapid application development due to it dynamic binding and dynamic typing features. Python used as a scripting language and used to link different existing applications. Huge set of library in source and binary from is available free of cost and can be distributed easily. Python is easy to understand and code which reduce the maintenance cost of application. PHP stands for Hypertext Preprocessor .PHP is programming language that can easily embedded into html and mostly used for sever side scripting language for web development. The Syntax of PHP is adapted from C, Java and Perl with some of its own PHP specific features. It’s also used as a general purpose programming language and used by developers for writing dynamic WebPages. Ruby on Rails a scripting language used to designed for programmer productivity and joy instead of machine efficiency. It’s a powerful framework that can help the company to become more productive and confident, while working on complex projects. Swift is the general purpose programming language, developed by Apple Inc. it is the safe, fast and interactive programming language for iOS, OS X, tvOS and watchOS. It is a safe language it helps the people to catch and fix the errors as early as possible. It provides the security to the people to secure their data. One of the great benefit of the Swift is it’s reduce amount of code as compare to C.
Android is mostly used operating system developed by Google and designed for touch screen devices like mobile devices and tablets. It comes installed on variety of mobile devices from manufacturer side and provide access to Google based services like search engine, YouTube Gmail, Google maps etc. IOS is a mobile operating system developed by Apple Inc, Designed for touch screen devices like mobile devices and tablets, It is the software that can be used by the customers. Apple IOS provide amazing features so that customer can easily understand and use the Apple products. Along with that this software designed to create home screen beautiful so that customers feels easy intuitive and even get fun by doing simplest task and become more engage. Matlab is the language of the Technical Computing, most of the engineers and scientist use Matlab to analysis and design the systems. Matlab helps the people to take your ideas and analysis it on the large amount of the data. It is more efficient way evaluates the performance. R programming is the quantitative analysis tool that can be used to data analysis, statistical modeling, simulation and graphics. Along with that it helps the business to find out the best way to understand information about customers and themselves. The R programming leans more frequently to the cutting border of data science, giving business a latest data analysis tools. Asp.net is frameworks used to develop web application using HTML, CSS, Angular JS and using MVC designed pattern. Current version of Asp.net is 5. Asp.net work used http protocol and policies for communication between browser and server. The mostly used programming language to write Asp.net code is C#.Asp.net is a piece for Microsoft .Net Framework and components from Net framework are used to develop applications. Apache is open source software; it can be highly customized to meet the needs of many different environments by using extension and modules. Linux is the operating system for the personal computers. The main purpose of the Linux provides home security system for your computer so that people can browse the net without any serious concerns. In addition to this operating system make your computer most fast and efficient. Html stands for hypertext markup language used for representation purposes and markups or Html tags provide instruction to browser for displaying WebPages for user. Current version of Html is 5 which provide some useful feature like local storage, caching and tags like header footer, view port used for creating formatted web pages. Visual Basic is a programming environment developed by Microsoft in which the programmer uses a graphical user interface to modify the preselected code which is written in the basic programming language as visual basic is easy to learn and fast to write the code. VB.NET is an object-oriented programming language, supports OOP concepts such as abstraction, inheritance, polymorphism, and aggregation. this program is consist on the various objects that can communicate through invoke each other’s method, in addition to , VB.NET uses XML to transfer data between the various layers in the DNA Architecture. Security becomes stronger in VB.Net. SAS stands for Statistical Analysis system, is the soft developed by SAS institute for advance analytics, business intelligence, and data management. SAS basically monitor and managing the operation of the IT system, it collects data of various IT assets performance and analysis the data. It also provides sustainability management software which forecast environmental, social and economic effects on the business and gives decision support so that company can get high performance. Perl is programming language that can be used for large variety of task. It provides large number of the tools for complicated programs. The Perl is design to response the three broad trends in the computer industry. First is falling hardware cost, raising labor cost and improve in compiler technology. Along with that it designs to write program more quickly and easily. Perl uses sophisticated pattern-matching techniques to scan the large amount of data very quickly. It also deals with binary data. C is programming language used to develop applications and mostly used for writing operating system. Mostly UNIX based operating system and kernel are written in C.C is called compiled language because C compiler is used to make run able program from written code. Languages have been a part of human history since time immemorial; the fact that this facet of existence has been interlinked with humans for long, has made ‘languages’ in all its forms and variables, more or less a part of innate human nature. The underlying factor behind the conception of language itself is the intrinsic need for communication in all living things. Animals and plants, like humans, have their own patterns of communication through which they lead their existence and utilize the intricacies of this phenomenon at almost all times in order to gauge as well as conduct to their natural instincts. Without languages and or communication, the existence of all living things would falter in ways unimaginable. Furthermore, the importance of languages is highlighted by the basic need to connect to other beings around us. Having no connection to other beings around us would make existence meaningless and survival would yield nothing more than frustration. It is the fear of isolation and the frustration that comes from it, which lead languages to flourish. Languages in particular are not merely a system of communication between two humans who comprehend them, but within that system (i.e. Language), we express emotions that cannot be expressed otherwise or at the very least, properly. To further explain the matter, love, and regardless of how it’s formulated and referred to in a particular language, is inert to us, but we cannot develop its aspects within our lives without the use of language. The other integral factor of language is interpretation, for it is interpretation that makes all the aforesaid facets of language comprehendible and thus, helps us operate not only the variable in relation to communication, but also ensures our survival and development; moreover, it is interpretation of language that constitutes for all (or the bulk) of our learning. While we have discussed the factors of languages that have to do with living things, they also happen to be an integral aspect behind operation as well as running of inanimate objects. Languages, being an important facet for humans, give life to machines since machines cannot comprehend instructions without those languages through which they are programmed. Programming languages, although used for machines, are mostly developed and utilized in the field of computers. They constitute of multiple dimensions with varying notations that help the machine comprehend and thus perform the tasks that the programmer (user of the machine) instructs it to do so. The number of Computer Science languages is growing at a rapid pace; thousands of languages have been developed with the passage of time, as with its passing, programming languages are becoming more and more important for the development of humanity as a collective. Life without programming languages essentially means a life without machinery. From the most frivolous of machines like toy cars for example to large servers where humungous amount of important data is stored, all need Artificial Intelligence in order to function. Programming languages is the matter that gives the machines intelligence that the user can utilize to harness the machine’s capacity in order to achieve his or her specific goal. They are far more complex than human languages since machines need precise instructions not just for the purpose to function, but to function in a proper manner as well. Unlike human interactions, through the use of human languages, machines cannot be receptive to ambiguities in the tasks, which they are assigned by their user. Among the several programming languages currently existent and used all over the world, languages like C, Java, PHP, HTML, Python, C++, and COBOL are used widely. The notations used in a programming language are algorithms that the machine translates into the pattern, which it comprehends in order to further operate. The machine uses machine language to comprehend its instructions, the programs / object oriented (OOP) are translated from the Computer science languages like the ones cited above. The attribute of machine languages, which makes them incomprehensible and or usable to humans, is the fact that their matter consists entirely of numbers and that too in large sequences. Furthermore, every machine (CPU in particular) has its own set of machine language. Programmers, who are well versed with these languages, use either high-level languages and or assembly languages, since they are comparatively concise than machine languages. The languages that programmers use largely consist of different variables that have their own names and identities. The instructions in assembly languages in particular, have similar algorithms to that of machine languages, albeit in a different form. Information contained in the algorithms of a programmer friendly language is called source code. The source could be articulated in either imperative form or declarative form; imperative form depicts the sequence through which the programs for the machine are laid out, while declarative form of source code where the aim of the programmer of IT (information technology) is specified but not the methodology in order for the machine to achieve the aim of the programmer. However, the machine and or the computer do not interpret source code directly because a machine cannot comprehend it by itself since a computer or a machine uses machine language in order to perform tasks as per program’s instruction. Object code predominantly concerns that data, which it acquires after the translation of source code and it is also concerned with its execution. It consists of Arithmetic Logic Unit (ALU) and the object code loads, jumps, and conducts an ALU operation on the data it receives as per the instructions on the source code. The tool, which is mainly used in computer programming, for translating source code into object code, is compiler. Compiler is basically a program that is primarily used for this purpose, since it is more proficient than other alternatives such as an interpreter. Furthermore, the program that translates assembly language into machine language is assembler. In comparison to interpreters, compilers happen to be more time consuming in that they review the whole source code whereas interpreters execute the program as per the understanding of each line, while sidelining the review of the complete source code. Although most languages use compilers for the purpose of translation, but for the translations of codes that are written in BASIC and LISP, the interpreter is a necessity. Since every CPU has its own machine language, there are various types of compilers, which are used for different programming IT (information technology). Each language in computer programming comes with its own compiler, unless the nature of a particular programming language is specifically interpretive. The adverse effect of this fact is that the instructions require a rewrite for each different computer system. However, this has intensified the competition within the computer industry for compilers as several developers create new compilers for both existing and new computer programming science languages. From the development of absolute machine languages for e.g. binary; programming languages have evolved at a dramatic rate to their fifth generation language. The latest generation of programming languages is primarily used for Artificial Intelligence (AI) along with neural networks. Most of the aforementioned popular languages are high-level computing languages, which belong to the third generation of programming languages. Assembly languages, which carry similar instructions to machine languages, are second generational languages. Meanwhile, fourth generation languages are those languages that in their matter, do not have similar attributes to that of a machine language; instead, fourth generation languages are closest to human languages and thus, are relatively easier than other generation of programming languages for the user to understand. Initial development of high-level languages began in the 1950’s. “Plankalkül” was the very first third generational programming that was written for computing purposes. It was written for the German Z3. However, among the widely used third generation languages, FORTRAN, developed in1954 by the highly coveted company in the world of computers, IBM, was the first language whose functions were implemented on computers instead of merely being a design. Starting from the latter stages of 1960’s up to the latter stages of 1970’s, were the times in the world of programming simulations / data processing where precedents were being set. The majority of the established language paradigms today were conceptualized and thus invented in that very era. These paradigms consist of the likes of Smalltalk, Speakeasy, Prolog, and several other such paradigms. Most of these stated languages led to foundations of multiple other languages. However, the following period of 1980’s saw further research on the established paradigms instead of inventions. This decade saw a period where most languages became more object-oriented and thus, more declarative instead of imperative. With the invention of internet in the 1990’s, came out a completely new ground for computer systems and related fields. This platform gave room for adoption of more languages, meanwhile further the paradigms created in the decades passed were further researched on and further matured as well. The 1990’s also saw a breakthrough in form of scripting language, Java. Languages from this era contain fresh syntaxes, while they were semantically liberal as well since they were flexible to new features that were being introduced. Furthermore, with the growing importance of programming languages, governments all over the world pay sufficient attention to programming languages and their involvement has only increased with the passage of time. The content of Computer Science syntax, in most cases, is divided between two components of code. One is Syntax, which reflects on the form of the said code; meanwhile, the other component is the semantics of the code, semantics mainly contain the meaning behind a particular code. Syntax elaborates the shape of the code based on aesthetical attributes of the program, i.e. the nature of its coding as well as its elements. Syntax definitions are usually deciphered through their grammar. It has little concerns with the meaning of the code, which is what semantics address. The definitions of semantics are programmed through natural languages. Furthermore, a comprehensible sequence within a code may be helpful, but this code is not necessarily a code that is semantically useful. Since good form of code does not necessarily mean that, its meaning is correct. Therefore, despite how perfectly a code is articulated as per the utilized language, in order for the code to work, the form of the code must be in line with its meaning. The programmer and his or skill is reflected precisely by its ability to articulate the meaning behind its instruction to the particular machine. There are two types of semantics; first is the static semantic, while the other is dynamic semantic. Static semantics are unchangeable semantics. They put restrictions on those semantics, who despite of their prowess and rationality, are not in line with the syntax. However, dynamic semantics reflect on the execution of the code, as to when a set of program from a language’s function should be implemented. To ponder over which language is best suited for basic use and in turn, the most widely used language, is a hapless activity. There are multiple variables to consider before deeming the proficiency of a computer language. These variables could be anything from the language’s propensity to consume time, to the lines of code that a particular program of a language has. Other than that, different languages have different purposes with regards to software development; those said purposes are more likely a strength of the languages in question. Different lines of works within the world of business, computers, or engineering, have use of different languages. For instance, Ada is used for aerospace engineering and compiling related work. This factor is integral to gauging the popularity of a particular language along with how many offices within a geographical settlement use a particular language as well as the number of lines its code has. However, FORTRAN is not necessarily a useful language that can be utilized in order to program a large sequence. Similarly, there might be languages that have literal flexibility but consist of subtle inconsistencies in terms of semantics, while well-structured languages can have propensity to be complicated in learning for their programmers; C++ is arguably the most prominent example of the latter facet. 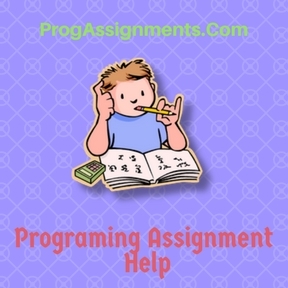 Therefore, in order to make a right a choice as to which language to use for programming; factors such as skill level of the programmer, the system on which computer and or machine it would be operated on, and the type of the particular language being used are important in making the right choice for programming. Programming languages are a unique phenomenon in that they are complex, yet concise. Their complexity is thoroughly reflected in their lack of receptivity towards ambiguity that human interaction intrinsically allows. Nonetheless, they are sufficiently concise too and limited in their content. Languages’ attribute of being artificially constructed allows them to be grasped in their entirety. This is because every facet has a precise meaning along with intent and purpose to it. These aspects and attributes of programming languages lead to their alterations as per the needs, various languages have been merged, and some have eventually been led to complete disuse. However, they are an important factor to consider. If one looks at the influence along with the impact of computers and general machinery on our daily lives, one realizes that these product by large have constituted to be present, as well as our future. The evolution of programming language and simulations of compilers is remarkable, their functions are vast regardless of whether they are formulated for specialized purposes or operate on a broader scale, and with their broad growth, they are arguably a world’s universal. Programming / computer science as a result of computers in general, are changing the way we interact with one another through social networking as well. Having said that, it would not be an invalid point to make that programming languages have an effect on human interaction in their rawest and thoroughly innate forms. Not a day goes by in lives of the majority of the global populace’s life where they do not witness, reap benefit, are impacted by programming languages. Whether this is a good thing for us as a specie or not, depends on the future, which ironically is, programming languages.